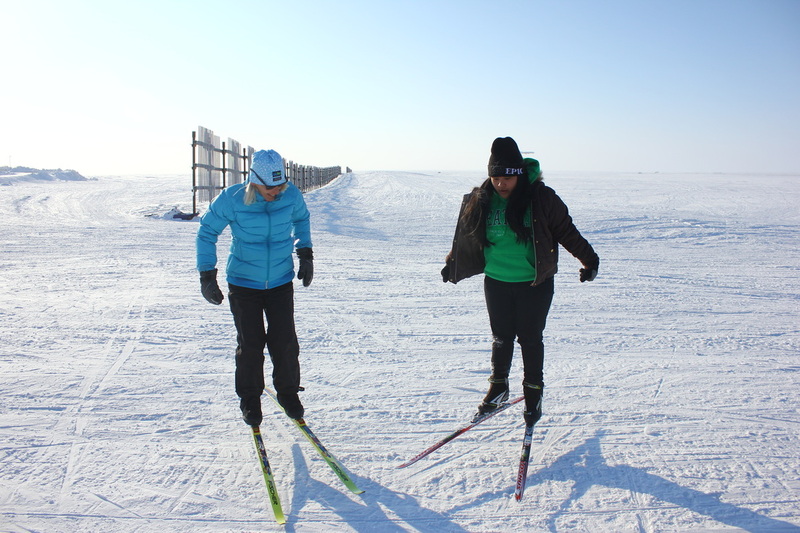 Purpose: Cross country skiing is a valuable sport for rural Alaskans to learn. It provides means to a healthy lifestyle; a way to enjoy the vast surroundings of Alaska; a method to learn goal setting, confidence, teamwork, and determination; and allows for outdoor recreation during the long winter season. This curriculum will equip teachers to become cross country ski coaches and enable students to learn basic cross country ski skills as well as the vocabulary, equipment, and safety associated with skiing. 1. Get the kids out the door. Provide a time and place to check out equipment and spread the word. Allow for weekend checkout. Develop a ski check out system that is easy and reliable. 2. Provide a good balance of structured learning and free time to explore and play on skis. Anytime a kid is moving on skis, they are learning. 3. Ski with kids. Kids learn by following. Show kids what you are working on. Show kids how to fall, how to not give up, how to help others. 4. Find good terrain. Beginners don’t need much, but make sure you have different size hills to ski up and down. Provide terrain features. Skiing over different things allows kids to build skills without much direct instruction. Destinations are always good motivators to get kids skiing too. Pick a place around town and ski there. 5. After some time of skiing in P.E. or afterschool, it will be more apparent to instructors and to kids what their interest level in skiing is. At that point, push harder for a handful of kids to have more structured learning and dedicate more time to skiing. 6. Skiing is a lifelong sport. Think about cumulative time spent skiing over the course of a public school education. All skiing done will add up over time.